There is no medical proof that hypnotherapy can cure infertility, which now affects one couple in six. However, it does lower stress and anxiety, which can affect hormone levels and create a mental block to conception. Tests have shown that hypnotherapy can lower a woman's levels of a hormone called prolactin which suppress-es ovulation. Hypnosis has been so successful in fact, that now a specialized field of hypnosis exists, appropriately called Hypnofertility. Fiona’s services help mothers who are struggling with infertility. With 1:1 support from Fiona, you’ll create and develop the foundational fertile mindset to helping you conceive with ease. You’ll receive modern-day, alternative, holistic energy healing and fertility coaching so you can renew the confidence and faith you once had. You’ll experience powerful guided meditations, guided visualizations, and create unique affirmations that will help you to stay strong and positive while trying. You’ll also learn how to use self-hypnosis to assist you in keeping calm, relaxed, balanced and grounded. Every great achievement begins in the mind. Learn how you can transform emotionally, mentally, spiritually, and yes, physically. Schedule an appointment with Fiona today! People seek out a hypnotherapist because they want to experience a certain part of their life differently. Hypnosis gives you the resources that are already available in your brain to do this. Many people that suffer from low motivation have hidden, neuron pathways that are connected to self-deprivation. Motivational hypnosis helps to program you to feel excited about the process of creating success in any area of your life or even your business. With Fiona’s unique methods and techniques she can tap into the power of your subconscious thinking to correct your motivational attitude. 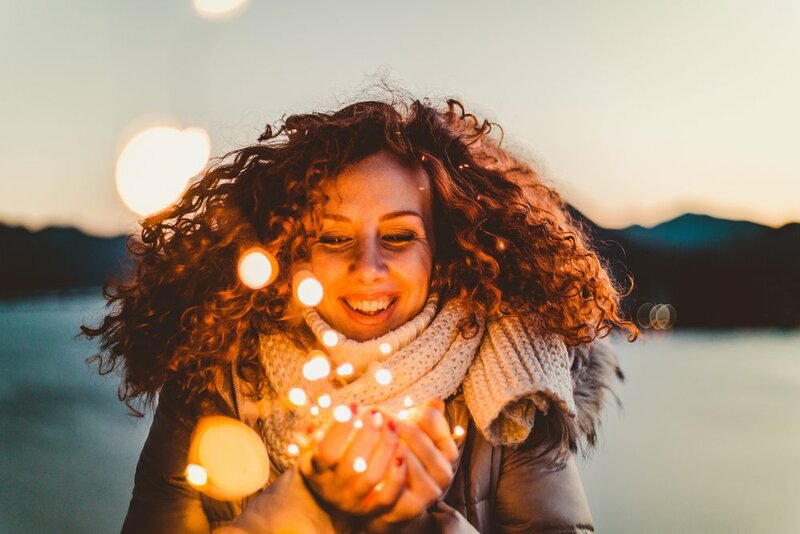 Hypnosis, which is used to correct subconscious thinking can be used to reestablish your natural excitement about success, you will find that you naturally move towards happiness. Happiness motivates you to do the work that you need to create the success you want. Happiness allows you to naturally want to do something. Motivational hypnosis improves love, money, business, health, school, weight loss, bad habits, cleanliness, procrastination, and even daily routine aspects of life. Consultations are booked until February - but email for a your next appointment as soon as you can! It’s remarkable just how many celebrities use hypnosis. It’s a sort of secret weapon for a lot of very successful, very wealthy, and very creative people. Entrepreneurs and executives use many tools and rituals to stay focused and get ahead. Most recent methods are more mysterious hone in on psychological advantages, like Hypnotherapy. Adele (singer) – Quit smoking. Albert Einstein (Physicist) – Access deeper depth of creativity. Ashton Kutcher (actor) – Personal Development and Quit Smoking. Ben Affleck (actor) – Quit Smoking. Bruce Willis (actor) – Overcome Stuttering. David Beckham (Soccer player) – Career Success. When it comes to hypnosis as an alternate form of therapy, many clients experience that it is overwhelmingly more effective and faster acting than behavior therapy and even psychotherapy. 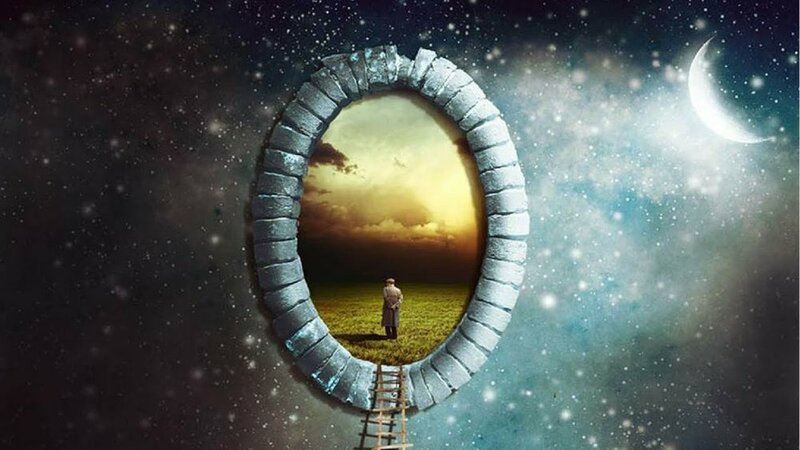 A Past Life Regression experience is a recalling, while you are in a trance state, of another time. In the story of the other time, you play the starring role! The subconscious mind tells a story and once we understand the decisions that were made in that story, and how those decisions affect us today, we can make new decisions from that moment that will change our thoughts, behaviors, and actions today. As a therapy, PLR has proven to create healing of relationships, physical ailments, understanding behaviors and phobias, to name a few. This work helps you to know, love and accept yourself at the deepest level. For many of us that is a miracle! So, do you wonder who you were and how it’s affecting you today? Are you mysteriously drawn to a person, place or event from past history? Would you like to feel more comfortable with yourself? If the answer is yes to any of these questions you may find your answers in a Past Life Regression. Fiona is book until February, but reach out today to make an appointment for Past Life Regression. Many people with a fear of flying say it affects their daily life, making holidays and travel abroad for business a nightmarish experience. A fear of flying can affect all ages and genders and is often a phobia resulting from past experience – from fear that is present somewhere in the unconscious mind. Logical arguments will not work to alleviate these fears, since it’s not the logical mind that is creating them. It’s an unconscious reaction, and that reaction needs to be changed from the inside. The symptoms of a flying phobia are sweating, panic attacks, palpitations, irrational thoughts and more, and these can be triggered by any number of activities before, during or after the flight itself. Many people use hypnotherapy to conquer fear of flying because it’s a gentle, effective and drug free way to be free from anxiety and enjoy flying once more. Hypnotherapy can alleviate your phobia quickly and comfortably. Fiona is an expert in helping clients overcome this fear and says it is more common than we may think. So many people miss out on their lives and opportunities by allowing this fear to continue without addressing. She suggests that all people who find their life limited by these fears to explore hypnotherapy. Hypnotherapy is very well placed to help with deep rooted phobias such as these and many more. It's a quick and easy solution to more opportunities. Ready to book your own session? Fiona provides 15-minute consultations over the phone or in person and is ready to help you with any issue you are experiencing. Talk to her today to learn more about Avid Awakening! Click the button below to get started. During hypnosis, a clinical therapist uses keywords that deconstruct damaging self-beliefs and false notions of the self. These ideas are replaced with new auspicious patterns that would determine the patient's future evolution. Hypnosis can be used as a tool for healing past trauma, integrating pain, bringing to the conscious mind repressed memories, changing one's destructive behavior, managing uncontrollable emotions, dealing with addictions, depression, anxiety and loss. Additionally, hypnosis can help you reach your highest inner potential and bring forth the innate power that you carry within and unlock use of a strong mind. Once hypnosis sessions have helped improved the clarity of dreams they will also help with intuition during the day. They will help open your mind to being aware of the intuitive abilities that you possess so that you can be the best clairvoyant you can be. The hypnosis process puts your mind into a deeper state of awareness that will then begin to unlock the intuitive powers within and help your mid be able to use these powers during the day and consistently. Fiona can help you train your mind and focus your attention on perceiving reality through methods that go further than your known five senses. Hypnosis can boost your confidence and unleash your internal potential. It can connect you within by dissolving self-imposed limitations. It can help you program your mind in such a way that your mental space begins to work for you and not against you. Many of Fiona’s clients have reported that their use of the brain does change and not only are the original issues that were needed to address were resolved, clarity and a stronger mind were also benefits of her treatment. CDC study found that 5.2 percent of teen boys surveyed in Los Angeles admitted they had recently vomited or used laxatives as a weight control measure. 6.2 percent of the boys surveyed said they had recently used diet pills, powders, or liquids without advice from a doctor. As a comparison, 6.1 percent of teen girls in the survey revealed they had engaged in similar practices. Higher-than-average rates have also been reported in Chicago, Houston, Charlotte, and other major cities. Nationwide studies in the U.S. estimate that the number of males hospitalized for eating disorders rose 53% in the ten years between 1999 and 2009. This is not news to Hypnotherapy practitioner Persian Medium, Fiona. Over the years she has seen a rise in the number of clients who are male with eating disorders. The lack of expressed authenticity in culture especially one that is fueled by vanity can create some real mental health challenges for a community. Eating disorders, addictions, depression, anxiety and anger management issues are common bi-products. All of which can be managed through hypnotherapy treatment. Persian Medium, Fiona, has her own unique approch to this apademic. She will be using her world renownd skills as a healer and years of experince. Last week she opened her new Avid Awakening Center in Corona Del Mar for clients who are silent suffers from this epidemic. She aspires to provide a wide variety of effective healing services to help achieve any goal or dream, regardless of how impossible it is believed to be. An Avid Awakening facilitated experience allows you to the realms of your own personal challenges, activating profound physical, mental and emotional healing power. She uses a custom blend of practices such as: Pranic Healing, Quantum Mechanics, Neuro-Linguistic Programming, Psychotherapy, Homeopathic medicine, Medicinal Aromatherapy, and hypnotherapy. Healing sessions integrate and apply all necessary modalities in facilitating the healing process, which includes emotional, physical, mental, spiritual healing. Avid awakening packages are customized but can address a wide variety of needs around weight loss management, insomnia, abundance, cancer counseling, sexual therapy, muscular disorders, and Gastrointestinal Infections. As a world-renowned healer Fiona is happy to bring her expertise to the Newport Beach community and help build healthier and happier lives. Appointments and services at the new Avid Awakening Center can be arranged online, or you can email Fiona@avidawakening.com to learn more. Hypnotherapy has been so incredibly feared and very misunderstood. Using hypnotherapy to achieve one’s goal is nothing more than visualization during a relaxed state of mind in order for the vision to sink deeply into the subconscious mind. Some people are afraid simply of the unknown. They are not sure what’s about to happen and that’s scary to anyone. At Avid Awakening, we make the process incredibly peaceful and relaxing to ensure you receive the most beneficial results. Sessions can be from 30 mins to an hour with you laying down. 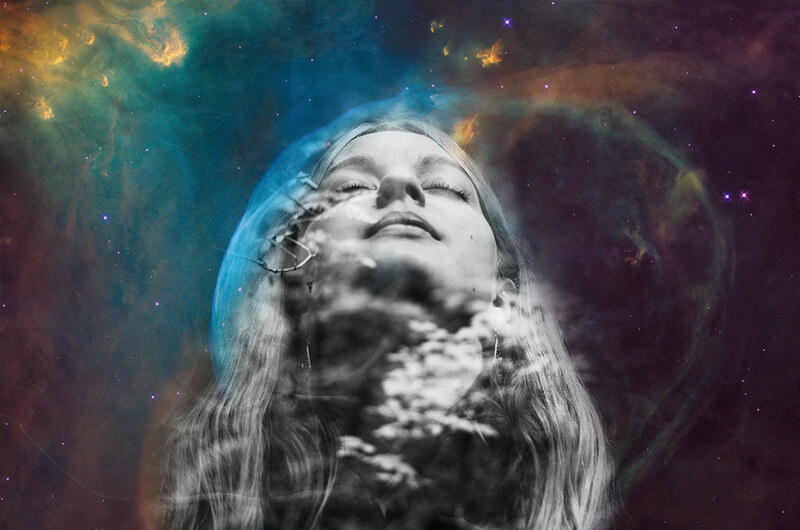 Most everyone reaches a trance that is in between lucid sleep and awake. You still have the ability for thought and are in complete control of yourself. Hypnosis is an alert state that is wholly unlike even being asleep. It’s a state that is similar to getting lost in the story of a movie or book, in a place where you are able to ignore everything else around you. You might find yourself in this state when you do repetitive chores or actions that don’t require much thinking. The most work you need to put into it is around the wisdom and discernment used when choosing someone that you will allow to help you paint your vision with words in order to create this deep “experience” and desire to obtain your goal. Whatever you are seeking to change, fix, improve, Avid Awakening is your portal to your best life. Contact Persian Medium, Fiona today to book your first personal session. Hypnotherapy is the practice of inducing a state of deep relaxation in order to heal physically, mentally, emotionally, and spiritually. During this process, the conscious mind is suppressed, and the subconscious mind is revealed. As a clinical hypnotherapist, I’ve been trained to assist clients in this practice to induce a vast array of positive results in any area of the client’s choosing. The purpose of hypnotherapy is to resolve conflicts, solve physical and mental problems (real or imagined), alleviate symptoms, improve relationships and to clear up any troubling present life situations. One area of application that many people are challenged with is public speaking or social phobias. Some people think they just have to live with it, or that there is no solution to help them overcome such issues. This is not true. Hypnotherapy can be a powerful solution for focused and willing clients looking to invest in the extra step. I have worked with many high powered executives and celebrities that use my hypnotherapy sessions to not just reach success, but expand it greatly in a way that is fulfilling. Hypnotherapy is a method that helps you reach the edge of your subconcious and do it with grace. To schedule your session today with Persian Medium, Fiona, just click here and book your first consultation. We will find the right package of services to help you achieve any goal or dream.